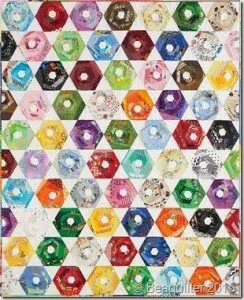 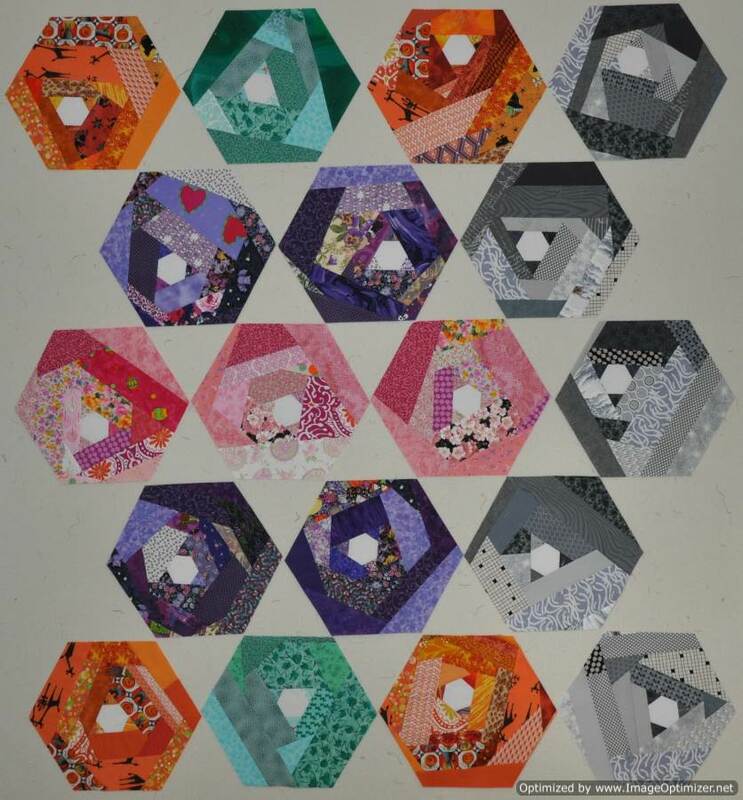 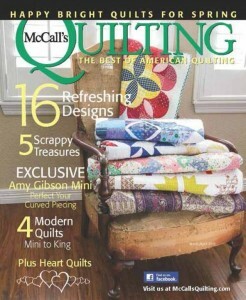 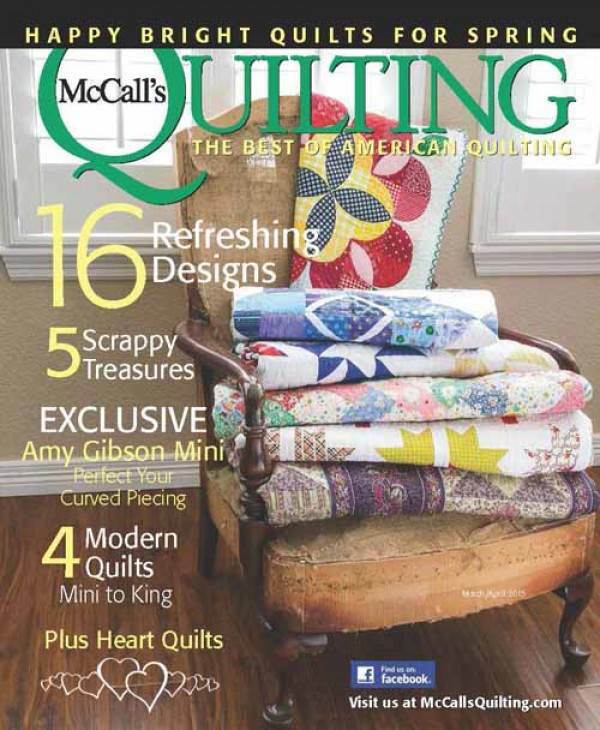 I fell in love with the quilt, Scrappy Hexies in the March / April 2015 issue of McCall’s Quilting magazine and it has been on my “To Do” list since then. 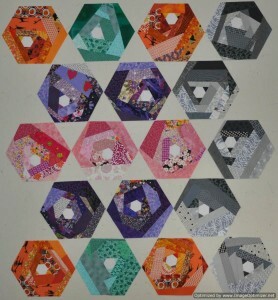 The quilt is a design by Bea Lee from www.beaquilter.com . 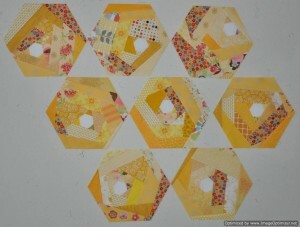 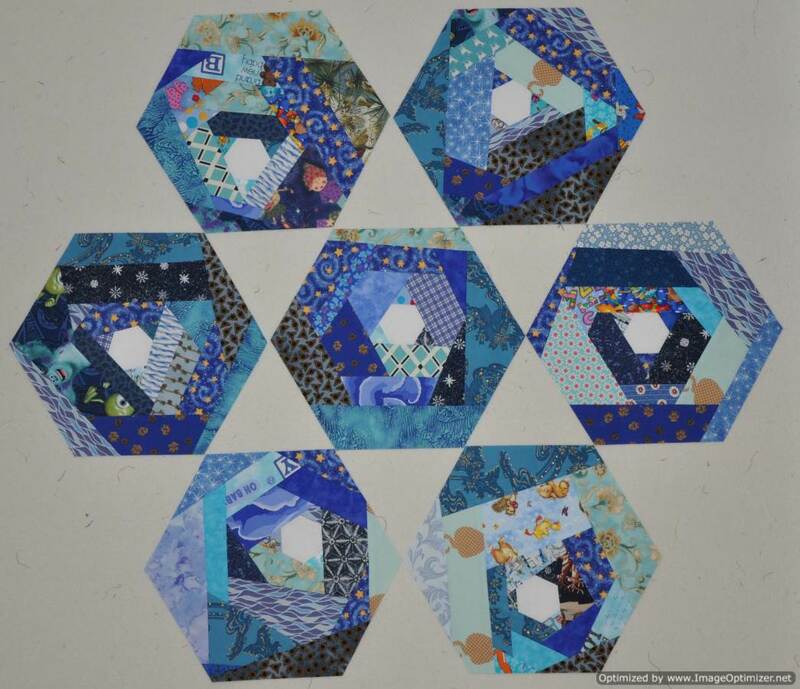 I started my blocks today and I finished my first 7 blocks from my blue scraps. 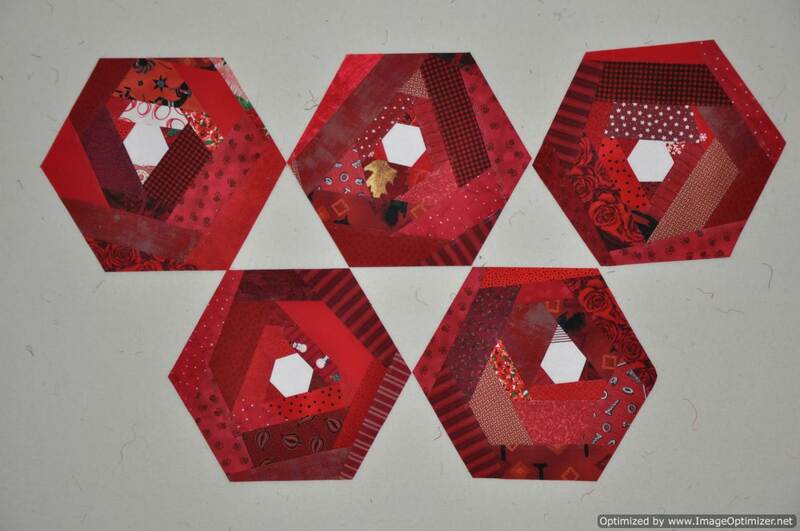 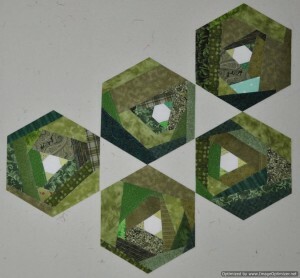 The pattern in the magazine suggests tracing the hexagon pattern pieces from the magazine pullout section onto template plastic. 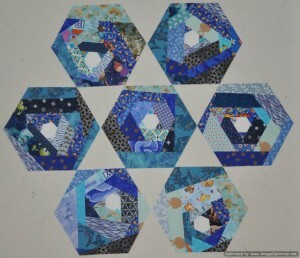 However, I recently used my discount coupon for Joann’s to purchase a large hexagon shaped ruler which has made trimming the blocks so much easier than using template plastic.